I, too, am deeply in love with Wattamelon Rolls. My birthday is at the end of October, and every year we had to hide a Wattamelon Roll at the back of the freezer so I could have my ice cream of choice on my birthday. When I moved to Columbus, OH from Toledo, I was shocked that there were no Friendlies around. There may have been a few trips from Toledo to Columbus involving freezers filled with dry ice. 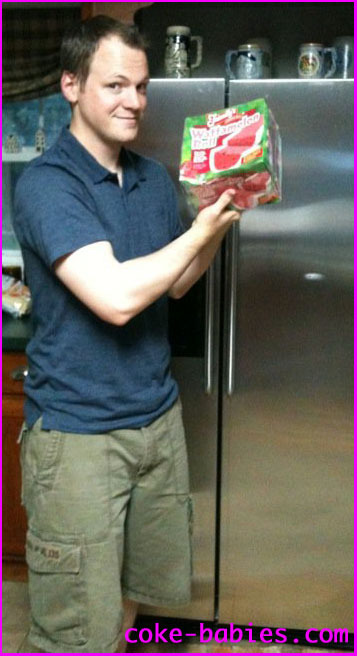 But I had an magic moment this summer when I randomly found Wattamelon Rolls while shopping at the grocery store. I don’t know if you have Giant Eagles in your neck of the woods, but ours carries the Wattamelon Rolls. So far we have only bought 3… but I’m sure I’ll be stashing one in the back of the freezer soon! Good luck! Hey. I live in Ohio but all of the Friendly’s here closed decades ago. However, I too experienced your same plight and experience last year. But if I can offer some hope, I did see some Friendly’s ice cream cakes in the freezer of a Walmart near me just a week ago. It is too early for watermelon, but I was surprised to see they had a few varieties available. So lets hope this year is another success. Yeah, the Walmarts near me have carried the ice cream cakes for a while. The rolls come and go. Unfortunately, the one roll they decided to carry was the Pumpkin Roll which a) wasn’t very good and b) is apparently selling terribly. I got my hopes up in the fall that seeing the Pumpkin Roll might mean they’d carry the Jubilee, which didn’t happen. So I don’t have high hopes for a Wattamelon revival. Aldi June 25,2014 under special buys tab. Thanks for the info. It seems there are no locations even remotely close to me, unfortunately. I Googled their locations, and found some random address in Colorado Springs, and just went by. It wasn’t a location, so I’m not sure why that location information has shown up on numerous sites. at ALDI stores for $4.99 per box. Thanks for the feedback and the info. Unfortunately, ALDI is refusing to cooperate with me, by building a location here. I emailed them, and they said there are no plans to even build one here, let alone rush the process so it would be finished by this summer and I could go there. I have found kindred spirits! I bought my wattamelon roll from Martin’s today. any in your area? happy hunting. I just purchased 4 rolls from aldi for 3.99 each and plan to buy more! Aldi’s is where I found mine! Where do you shop as we are working with more and more retailers out west now. I sent you an email. I look forward to hearing back from you! My name is Brian and I am in Fort Myers, Florida which is part of Southwest Florida . My son and I am always enjoyed wattamelon roll and I am originally from Massachusetts. Sweetbay grocery store is used to carry the watermelon roll but got bought over by Winn Dixie. I have been looking for it ever since but can’t believe that such an excellent product is not stocked in more stores around the country especially considering its uniqueness. Is there anyway you could see if there are any stores on missing or just a way to get them where I am? My son and I would greatly appreciate it. Sincerely, Brian. Another Friendly’s wattamelon roll lover. This was great to read. If you have no luck try recreating the wattamelon roll, which I have yet to try. I love Friendlys sherberts. I actually looked into giving that a try this summer, but it got speed bumped by, well, laziness. But really, my biggest issue would be that while there are some good watermelon sherberts out there, they don’t taste quite like Friendly’s. So it would be a pale imitation. But if next year proves fruitless, I think I may try it. Friendly’s has made their watermelon sherbert available in half gallons in grocery stores. Any chance of finding a wattamelon roll in January? My friends birthday is coming up and she’s mentioned this truly is the best thing ever. I’m even in NY so here’s to hoping for a regional windfall! Holly, Friendly’s only starts production of Wattamelon Rolls in January, and they probably won’t hit shelves until late April / May. Maybe a Friendly’s gift certificate? Other than that your only other hope is to find another psycho like me who might have some backup rolls in their ice cream bomb shelter. It’s the best tasting patent I ever wrote. My first patent. I’ve had contact with a lot of company reps & employees, but this is definitely the most unique one yet. That is truly awesome. I read through the whole patent, and being the intellectual that I am, understood about 30% of it. But I got enough to get what was actually being described / presented, and how it would birth a Wattamelon Roll. So thanks a bunch to you, for creating something so interesting. I just wrote the patent, describing & claiming what Jeffrey W. Tarantino invented. I love this post. 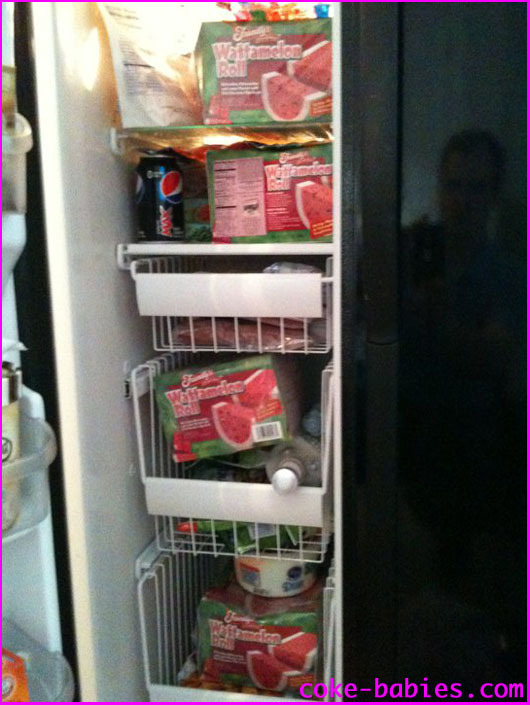 I’m a watermelon roll fanatic (5 in my freezer right now). Has anyone noticed the flavor has changed on about half of them? The watermelon part tastes strange almost like the difference between coke and diet come… That’s the best way I can describe it. It’s driving me crazy!! I noticed the ones that don’t taste so good are a lighter shade of red. I don’t know if i’ve noticed that. But I have had the not-uncommon one that seems like it melted a good bit then re-froze – possibly it’s an offshoot of that occurrence? That key lime roll idea sounds amazing. Until then, I will have to settle for Edys / Dreyer’s Key Lime frozen yogurt (not as cool). Also, Aldi’s has become my official new nemesis. I keep getting suggested to check Aldi’s for a Wattamelon Roll, and Aldi’s won’t come within 500 miles of me. I’ve contacted Albertson’s & Safeway about this. Them getting the ice cream is at least a nice start. But both companies said they don’t yet have any plans to bring in rolls. But if you need someone else to harass (sorry: “contact”) a location into stocking them, let me know. Omg I’m 8 months pregnant and all I want is that delicious Wattamelon Roll I dream about from my childhood. I live in California (originally from Connecticut) and Friendly’s is so far away. I’ve googled to see if I could get it shipped. Luckily I stumbled upon your blog which saved me hours of searching to get a “no”. Boo. I could try making one but I doubt it will be just as good. I might acutully trade our In and Out Burgers for a Friendly’s right now. Oh and their Reese’s Pieces ice cream cups!!!! It’s been years since I’ve had Friendly’s yet I can still taste it in my memories. Ugh! You can get the Reese’s cups at Safeway and Albertson’s. I was praying for a Wattamelon roll, but they still haven’t shown up. Fingers crossed to at least find watermelon sherbet at some point. Sherbet coolers and cones with chocolate spinkekles were a big part of my summers too! I live in Orlando, FL and am searching for the Wattamelon Roll for my daughter’s birthday. The Friendly’s restaurants have closed here, as well. The Wattamelon Roll has been a tradition for many years, my daughter is turning 38. If anyone has any news of where I might be able to purchase it, please respond. Robb, I feel your pain! I know this is an old post but in my search for answers , I found your blog. 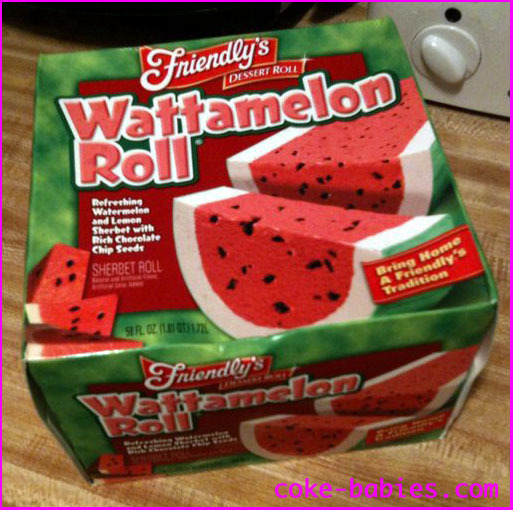 I live in Vermont , have a local Friendly’s and cannot find a Wattamelon Roll anywhere!! I’m really starting to panic. I absolutely love them and haven’t been able to find them since last year. I’m praying that they aren’t gone for good. Has anyone heard anything?? I really enjoyed your story by the way and can totally relate. The Wattamelon Roll has become a birthday tradition for my daughter for about 30 years. Her birthday being in August makes it easy for me to locate them especially in the New York area. this year I bought 2. 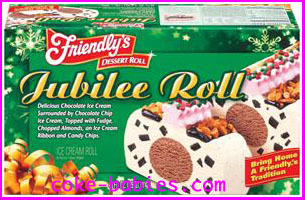 I was wondering if anyone knows what year Friendly’s introduced the roll. I’m trying to figure out exactly how long we’ve been doing this. I find this information WAY more interesting than one human probably should. Thanks for this. It was the 1st patent I wrote. 1 516 365 9802 x 303 ofc. Sally, Where is that Friendly’s ? My husband and I moved from New York to Raleigh, NC 2 years ago and he has been trying to find the Wattamelon Roll ever since! 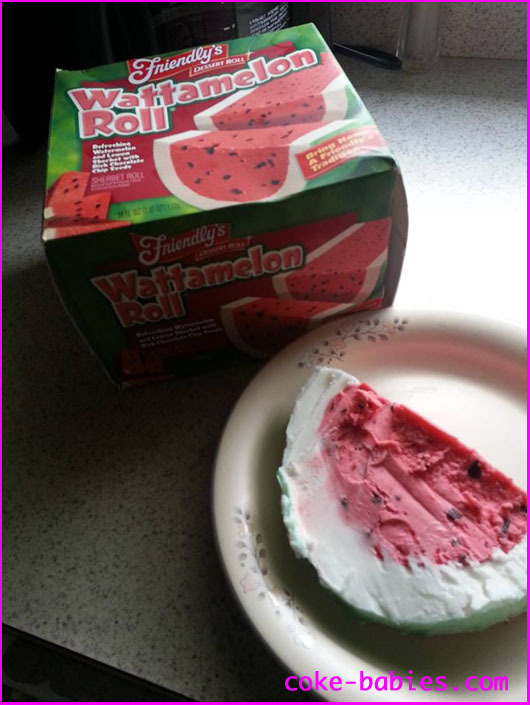 It is so unfortunate because the Food Lion and the Wal-Mart here both carry Friendlys ice cream (even the Dollar Tree carries the small sundaes) but they refuse to carry the Wattamelon Rolls!! Just as you’ve stated, if they were to stock them, they would be a top seller. Instead we are stuck with crap cakes…if only Friendlys took the advice of their consumers they may not have had to close so many of their brick and mortar locations. Hope you folks are listening!! Was just googling wattamelon roll because this is the first year I haven’t found one for my daughters birthday and I happened upon this post. We live in Ohio and the last friendly’s closed a couple of years ago. My daughters birthday is in May and she has asked for wattamelon roll for about 15 years. I feel bad because this is the first year that I haven’t been able to find one. Usually I can get them at Giant Eagle, but no luck. If anyone out there knows where they are any let me know.